Drug addiction and God needs to make the connection between the “ego and the soul.” The task of the healer is to get to their story, and he added that we need to become the “fly on the wall,” to observe our own behavior in the moment. What does a person feel when something happens? He talked of the three states a person is in—awake, asleep and dreaming. What happens in between these states, or as Baldi put it, in the fourth state, the void? Baldi drew on the spiritual to fill the void. Baldi drew from his Hindu background and understanding to make a connection with the patient’s Roman Catholic background. These two seemingly opposite worldviews came together in a significant way to help the patient through drug addiction and God. 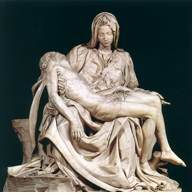 Addicts hope for healing and Baldi used the image of the famous sculpture by Michelangelo, “The Pieta,” as a metaphor for self-care. In doing so, Baldi helped the patient make a vital connection between a childhood experience and her present day struggle. Baldi was helping the patient see the sculpture as “holding the body of the addict” until healing comes. Baldi’s sensitivity to the addict and his understanding of the need for the spiritual connection, were key in producing a successful outcome. He talked of our intellectual quotient (IQ), our emotional quotient (EQ) and our spiritual quotient (SQ). The EQ related directly to sobriety, while the SQ centered on our connection to the divine. Understanding of the spiritual component to recovery opens the door to that process. We are body, mind and spirit. All three need to be addressed. Baldi understands that and brings illumination to the third step of the 12-Step process, when it refers to God, as “we understood him.” Baldi worked with the patient’s understanding of God, did not impose his own, and helped the patient make the connection between the ego and the soul. The power of the spiritual cannot be overlooked in drug addiction and God. Medicine can go only so far. Therapy can only go so far. Healing on comes, as Baldi says, from the hand of God. My Dad Drinks and hurts me? I'm 39 and my whole life my dad has had a temper, he's irritable towards me, cranky basically verbally abuses me in different ways. I do not have think skin, I hate this! Since I can remember he drinks beer, every day 1 or 2 at night. Do not know if he drinks at work. On the weekends he drinks beer while watching tv, doing house work, etc. sometimes 3 beers up to 8, I don't know I don't count. It has been like this for ever and I cant handle his sarcasm, he is a bully basically a verbal bully. He doesn't really drink any thing but beer. Please help me, he is a "functional alcoholic" and him being so cranky to be my whole life is that withdrawals? Your father might drink every day, a few beers, but that doesn’t automatically make him an alcoholic. It is, however, an indicator. It doesn’t sound like to two of you have an open and honest relationship, even though you’re 39 you’re still treated as a child. Are you living with him? If you are, that might explain some of the sarcasm. You mentioned that he drinks every day. Does that mean more than 12 to 15 per week? How has his drinking impacted his life, his family, his job? Has his health deteriorated over the years? Does he drink with his friends or is it always alone? When he is sober, is he a bully then as well? Is he ever a nice guy? I would recommend a call to Al-anon. They know what you’re living with and believe me, they’ll understand. That’s what they do. To effect any possibility of change, you’re going to have to have a plan and get the rest of the family on board with it. If he is an alcoholic and in need of treatment, you’re not going to want to fight this fight alone. A couple of books may help you. One is “Why Don’t They Just Quit?” by Joe Herzanek, which is an excellent guide for understanding the alcoholic person. Another book is “Getting Them Sober,” by Toby Rice-Drew. Excellent materials for you to study and ponder. Your father’s drinking is his issue, so it cannot become your issue. That sounds trite, but it’s a very important statement. Alcoholism is a family disease, and everybody suffers. He’ll deny that. He’ll argue with you and probably call you every name he can think of. But the disease clouds his judgment, his thinking and his humanity. If he is in fact an alcoholic, you’ll have to band with the rest of your family his friends, to show him that he has a problem and he needs treatment. You’ve got some work to do. If you are 39 years old and your family has not shown up to help you yet, they probably are not going to show up anytime soon. My suggestion is to get to some professional counseling and see what role you want this man/parent to play in your life. You have choices and so does he, he chooses to drink and bully. You can chose a different way, there are better ways. I wish you all the best.